Tim Romani has been a leader in the sports facility development industry for more than 20 years. He has overseen the successful completion of more than $3 billion in stadium and arena projects for teams in the National Basketball Association, National Football League, National Hockey League, Major League Baseball, and Major League Soccer. Among his many noteworthy projects are INVESCO Field, home of the Denver Broncos; the Prudential Center, home of the New Jersey Devils; and The O2, a state-of-the-art concert arena in North Greenwich, England. Tim completed his bachelor’s degree in Kinesiology in 1984. He joined the State of Illinois Capital Development Board as a project manager, supervising the design and construction of 15 public projects totaling more than $95 million. In 1988 he was named executive director of the Illinois Sports Facilities Authority. During his tenure, he managed the $250 million development of Comiskey Park, now known as US Cellular Field. 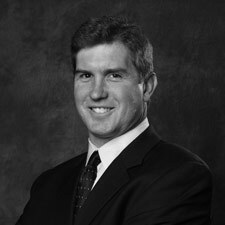 Tim assumed the presidency of Ascent Arena Company in Denver, Colorado, in 1995 and was responsible for all aspects of the company’s Pepsi Center project, including financing, construction, and operations. In 2001 Tim founded the Romani Group, a management/owners representative firm specializing in sports, convention center, and medical facility projects. The Romani Group partnered with AEG, one of the leading sports and entertainment presenters in the world, to form ICON Venue Group in 2004. ICON is the first and only firm in the sports and entertainment industry to offer a full range of venue development and operations services. While ICON focuses on sports and entertainment projects, Tim continues to operate the Romani Group as a developer of public assembly and health care facilities. He has played a key role in some of Colorado's most notable development projects, including the multimillion dollar expansion of the Colorado Convention Center and the building of the Clyfford Still Museum. He also served as vice chancellor of planning and development for the Anschutz Medical Campus in Aurora, Colorado. In this 4 million square foot, $2 billion project, the decommissioned Fitzsimmons Army Medical Center served as the foundation of a world-class, academic health center with state-of-the-art facilities.